The quota for the economically weak, which allows them 10% reservation benefit, will be implemented in all educational institutions from 2019. “10% EWS quota will be implemented in the AY 2019-20 itself, without impacting the existing quotas for SCs,STs & OBCs and general seats,” said Union HRD Minister Prakash Javadekar today in a meeting with the UGC and the AICTE. “Adequate additional seats will be created in these colleges and universities to implement the quota for EWS. The UGC and AICTE will be provided the operational mandate within a week to implement the quota,” he added. “The modalities are being worked out and within a week’s time we will have the exact number of seats that will be added. The operation manuals about how to implement the quota will be issued soon. 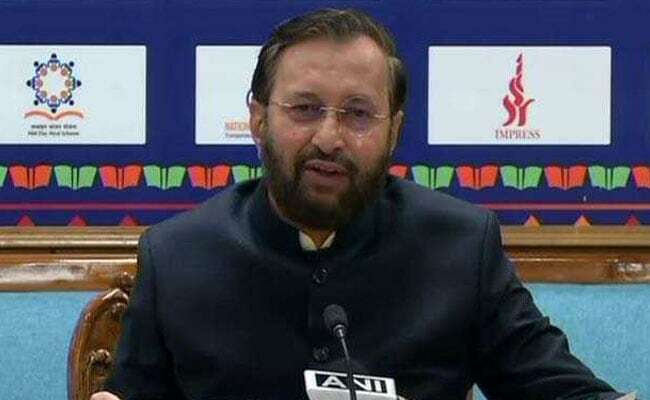 The colleges and universities will also be asked to mention the quota in their prospectus as well and make infrastructural arrangements accordingly,” Mr Javadekar said. The decision comes after President Ram Nath Kovind on Saturday cleared the landmark billpassed by parliament which will provide 10 per cent reservation in government jobs and college seats for people outside high income brackets. Upon its implementation, in 40,000 colleges and 900 Universities, 10 per cent of college seats will now be reserved for students belonging to families that earn less than Rs. 8 lakh a year and have not more than five acres of land. The 10 per cent quota is in addition to the 22.5 per cent reservation for Scheduled Castes and Scheduled Tribes and 27 per cent reservation for castes identified as the Other Backward Classes (OBC).